Inside was this marvellous new book, all in time for Christmas (and some chocolate coins to munch while I read). Now, Dickens’ book A Christmas Carol is hugely famous and has been adapted multiple times (my favourite’s the Muppets version). 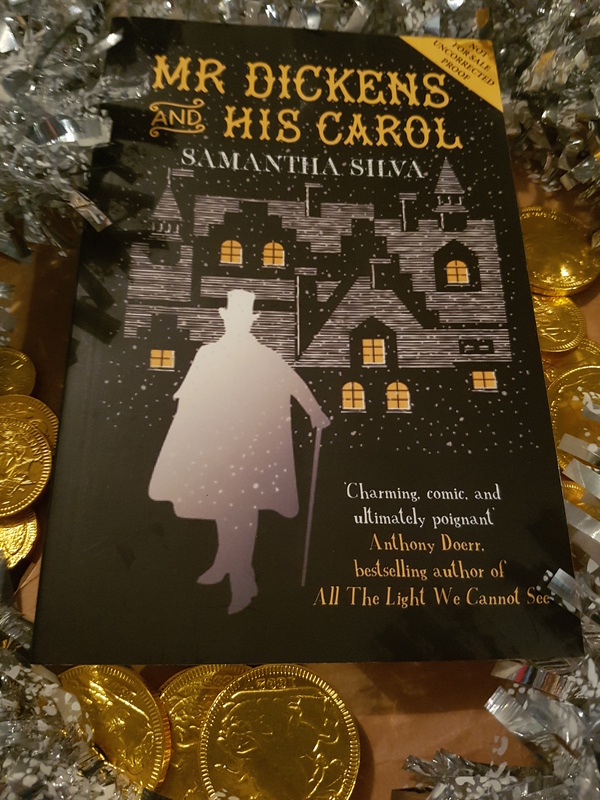 But Samantha Silva goes behind the tale of Scrooge, ghosts and little Tim Cratchit, to the story of a story. Silva deftly conjures the crowded streets of Victorian London to life, complete with hawkers and drunks, salesmen and pickpockets. Dickens is in a bind – his last book isn’t selling well and his publishers want a Christmas book, but with just weeks to go can Dickens craft a bestseller in time? I have a rather complicated relationship with Charles Dickens and his books, finding them overly pious and pompous, perhaps I just live in the wrong era. However I do like books about books and this is definitely that. Weaving a narrative out of a handful of known facts about the writing of Carol, I enjoyed this book quite a bit. Definitely worth wrapping a copy up for the reader in your life. 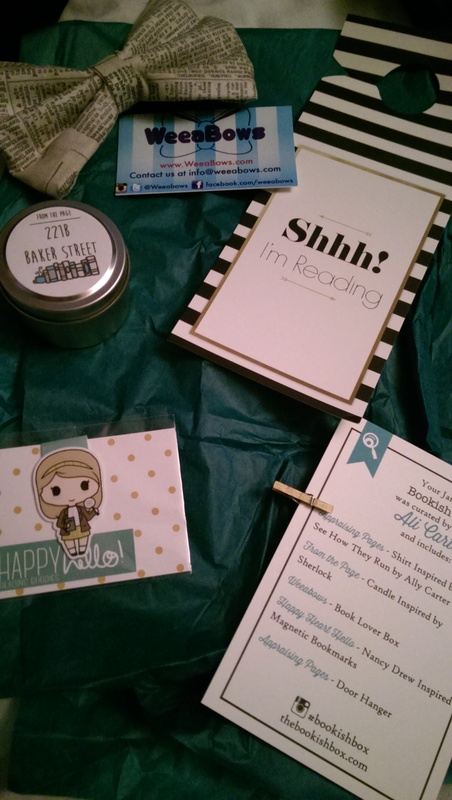 The Bookish Box is a monthly subscription box of goodies for book lovers. Posted from the US, it can take a while to get here. Each box is themed around different genres or styles. 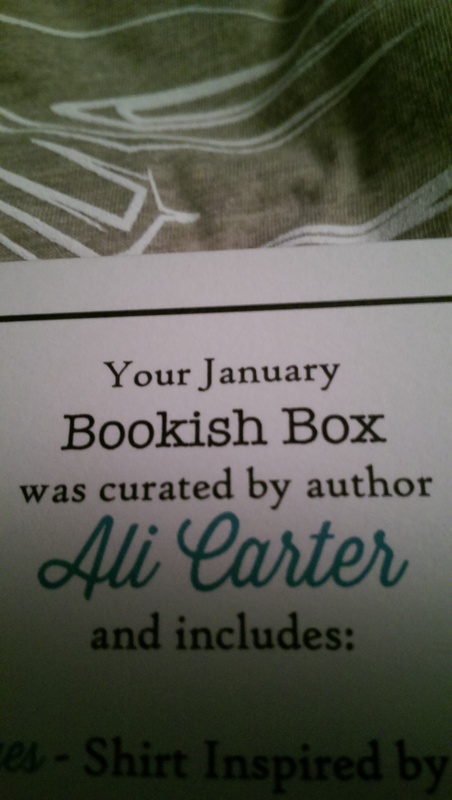 January’s is Mystery Reads. 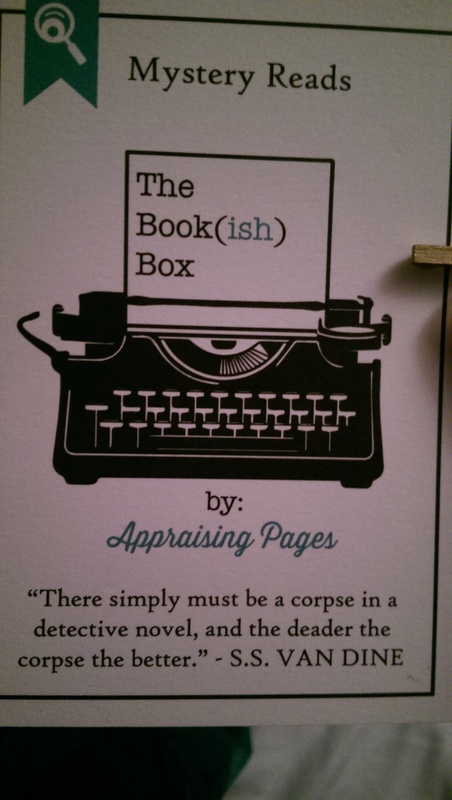 Inside is a selection of lovingly curated literary gifts. A candle whose scent is inspired by Sir Arthur Conan Doyle’s Sherlock Holmes stories. Nancy Drew inspired magnetic bookmark. 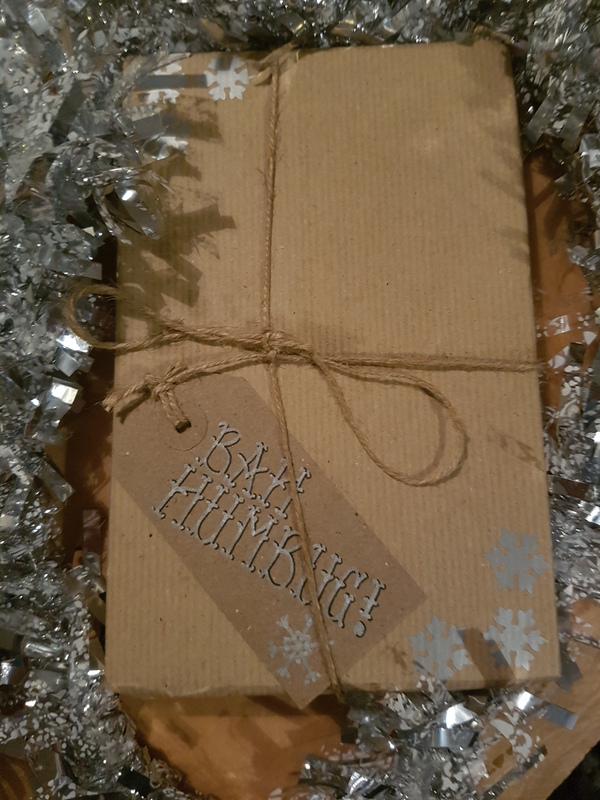 Rather lovely bookprint bow, that my Mr has already decided he will use as a bowtie! A door hanger to keep people away. 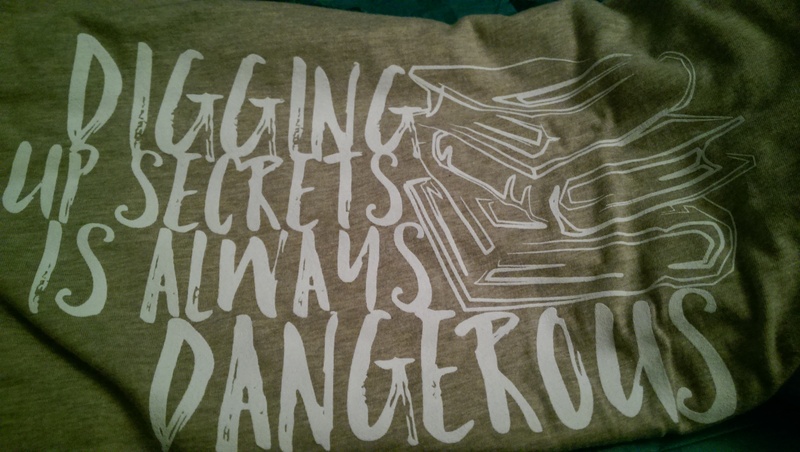 And finally a lovely soft themed T-shirt. This one inspired by Ally Carter’s See How They Run. All wrapped in fetching green tissue paper, a gift to yourself. Prices vary depending on your subscription choices and you pick your shirt size so it’ll fit. 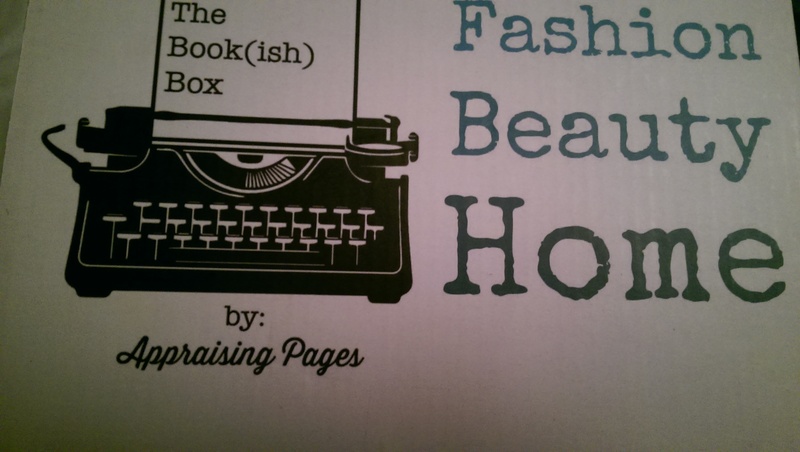 Check out Appraising Pages for past and upcoming boxes.